Leviticus 16 gives the instructions for the annual Day of Atonement. This was the one and only day during the year in which the High Priest would enter Most Holy Place in the Tabernacle, and later the temple. He would enter with sacrificial blood (a bull) first for himself and his family, and then next (a goat) on behalf of all the people of Israel. Additionally, there was to be a second goat which was not killed; the High Priest would lay his hands on its head and confess over it all the sins of Israel (v.21). Then it would be released in the wilderness. Lev. 16:10 states, ” But the goat chosen by lot as the scapegoat shall be presented alive before the LORD to be used for making atonement by sending it into the desert as a scapegoat” (NIV). Strong defines the Hebrew word azazel as meaning “entire removal.” The NIV marginal note has “goat of removal.” “The English word scapegoat was apparently invented by William Tyndale as an attempt to translate what literally says ‘for Azazel'” (Dictionary of Biblical Imagery, p. 763). This “visual aid” depicted God’s mercy and forgiveness as sin was removed from the camp and community of Israel. Of course this foreshadowed the vicarious suffering and death of Jesus, which made possible the remission of sins (Heb. 10:1-18; John 1:29; Eph. 1:7; 1 Pet. 2:24). While in the Sinaitic Peninsula in 2003 I saw a couple of goats in the wilderness which help illustrate the text. 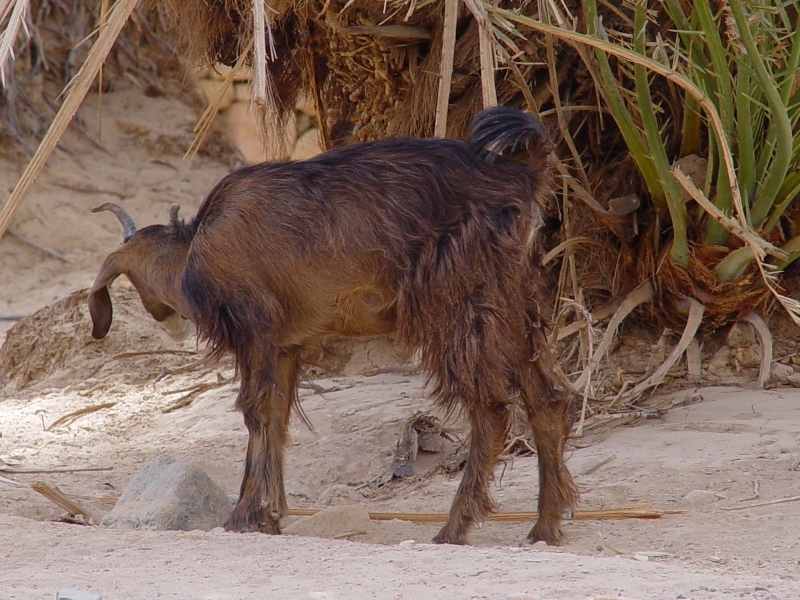 Goat in the Wilderness of Sinai. Photo by Leon Mauldin. “As the goat goes into the wilderness, it will carry all the people’s sins upon itself into a desolate land” (v.22). 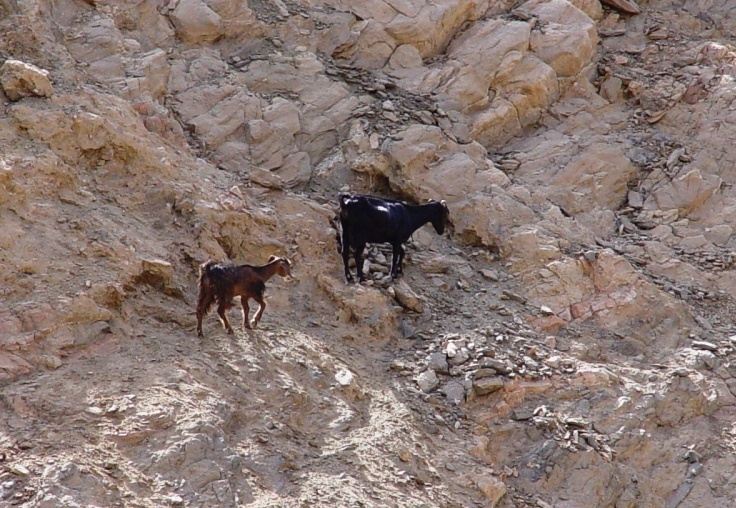 Goats in the Desert of Sinai. Photo by Leon Mauldin. This photo below helps us to see some of the desolate country in which Israel traveled, and into which Azazel would have been released. 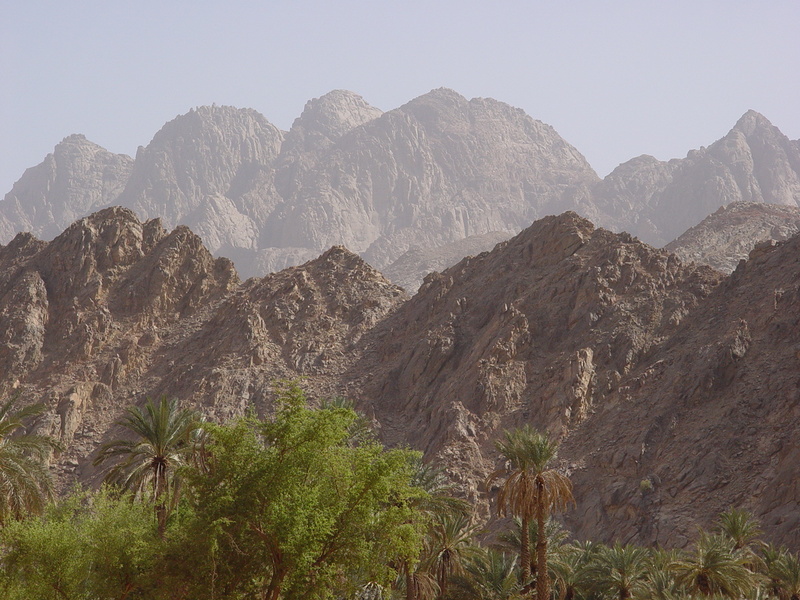 Wilderness of Sinai, in the south. Photo by Leon Mauldin. Now you know the origin of the word “scapegoat,” which in modern usage denotes “a person who is blamed for the wrongdoings or mistakes of others” (Concise Oxford English Dictionary). This entry was posted on Monday, February 13th, 2012 at 10:46 PM and is filed under Bible History and Geography, Bible Study, Old Testament, Sinai, Travel, Uncategorized. You can follow any responses to this entry through the RSS 2.0 feed. You can leave a response, or trackback from your own site. I love the pictures you have chosen for illustrating this part of Scripture.